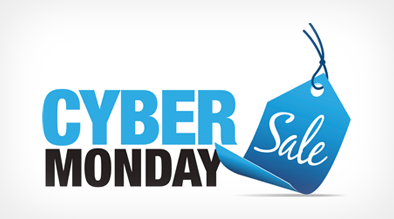 Traditionally an event dominated by retail stores hoping to score big holiday sales, hoteliers have began taking advantage of the Cyber Monday extravaganza in the past few years. Most recently, in order to compete with the big retail players and stand out among recent game changers like LivingSocial and Groupon Getaways by Expedia, hotels have offered more aggressive promotions, many extending their deals beyond the 24-hour Cyber Monday window. In conjunction with these great deals, hotels have begun more actively utilizing various channels including Pay-Per-Click to maximize deal advertising reach and promotion. After running these Cyber Monday ads we saw a 68% increase in revenue compared to the same period last year (November 25th-November 30th). Along with an increase in revenue we saw an increase in impressions (over 22,000) and an increase in clicks (over 300). Prepare early – ensure campaign details and logistics are set up well in advance of the promotion start date to ensure a smooth launch. Utilize current PPC campaigns – continue to run regular campaigns, updating ad headlines and copy with promotional content and linking to promotion landing page. Encourage Purchase – create a sense of urgency in ad copy by using terms like “Limited Time” and “Expires Soon” versus a generic “Book Now”. Cross-Channel Optimization – advertise promotion on all available channels including website, Google Local Offers, social media to capture broad audience and contribute to SEO relevance. Consider the above tips when launch any major promotion throughout the year to maximize revenue and awareness.